Drones by themselves are wonderful things. Pair them up however, and there is no limit to what they can achieve. Whether they are disposing of nuclear waste or performing firefighting duty aboard U.S. Navy ships, dynamic drone duos are proving that sometimes two drones are better than one. So why not apply the same concept to drone delivery operations? Is a one-two drone punch what commercial drone delivery operations need? No single parcel delivery drone can do it all. If it flies, its effectiveness is limited by payload capacity. If it rolls or walks, it is limited by restricted pathfinding capabilities given its low vantage point. So why not combine the best of both worlds by creating a Cooperative Robotic System (CRS) that pairs up land- and air-based delivery drones to better map and navigate the challenging urban and suburban environments they operate in? 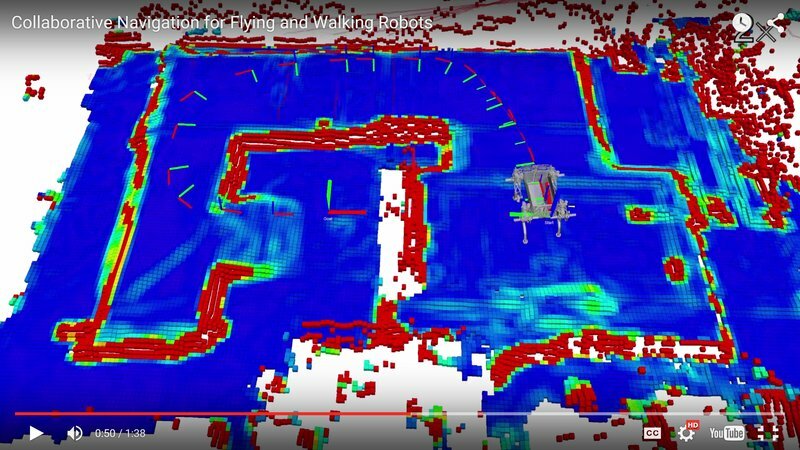 Well, that is exactly what researchers at ETH Zurich’s Autonomous Systems Labs have done. They have partnered their walking robot with a sidekick UAV that is capable of scouting the terrain ahead. Collating the data from its hexacopter buddy and combining it with its embedded laser rangefinder allows the walking robot (with a theoretically bigger payload capacity) to overcome its limited ground vantage point of view and thus better calculate an optimized route to its destination over unknown terrain. 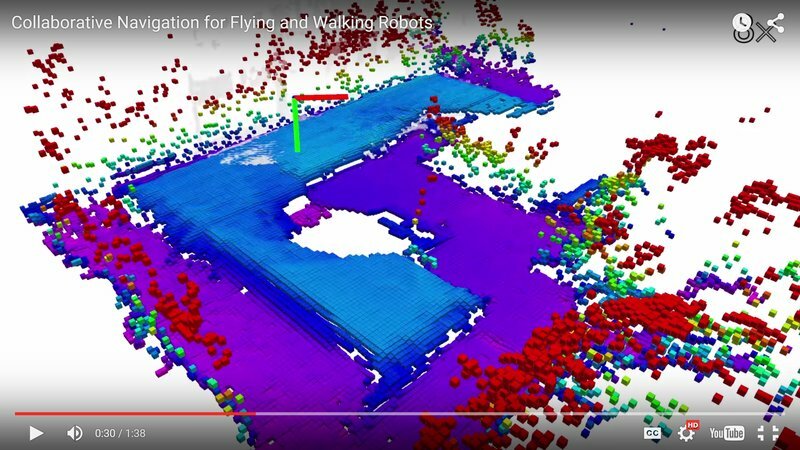 Summarized in one sentence, “prior knowledge from the initial exploration [of the flying UAV] enables the walking robot to localize itself against the global map, and plan a global path to the goal by interpreting the elevation map in terms of traversability” (Source: Geeky-Gadgets.com). Going into more detail, the scout UAV uses a camera to generate a high-resolution elevation map which includes landmarks in the “mission” area. 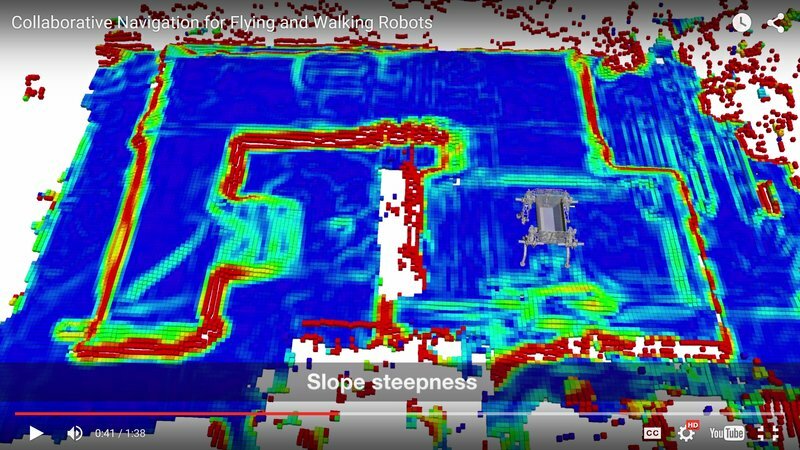 The walking robot then combines this information with data from its own sensors to calculate slope steepness, terrain roughness and maximum step height. The map generated is continuously updated in order locate any obstacles the UAV might have missed or been placed in the current path once the UAV has finished its preliminary scan. Once its scouting mission is complete, the UAV will and then must wait for its walking counterpart to catch up. However, ETHZ is already working on walking robot concept platform that would allow its sidekick UAV to land on/take off from the walking robot’s back. 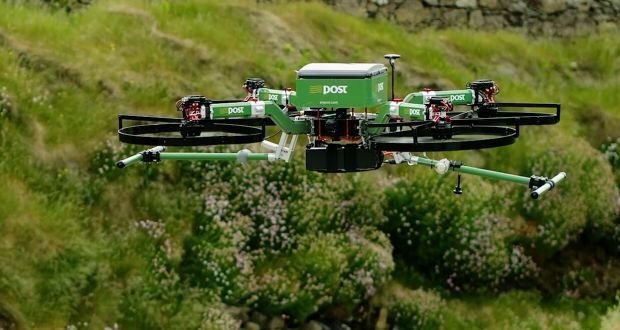 Sounds cute, but how would the drone duo concept apply to parcel delivery drones? Well, glad you asked. Picture using a larger drone with higher payload capacity and thus able to carry heavier pathfinding equipment such as LIDAR. 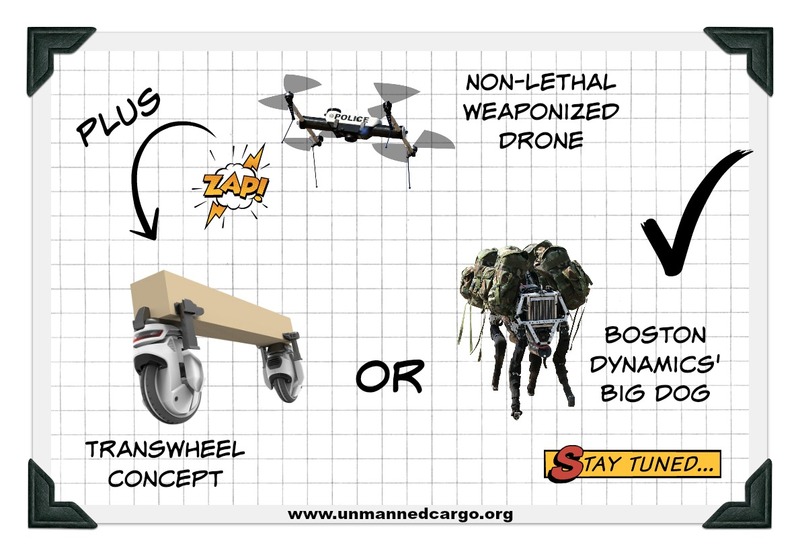 Partner it up with land delivery drones from the Transwheel Concept or even Boston Dynamics’ Big Dog (a rough terrain walking robot with a 154 kg (430 lb) max payload capacity) and bam! you got a whole new way to deliver bigger packages to eager eCommerce shoppers. Even better, now that North Dakota has passed a law allowing non-lethal weapons on drones, why not add tasers, bean bag rounds or even pepper spray to the sidekick UAV to act as sentry and provide overwatch duty during package delivery. Surely this would be a great theft deterrent! What are your thoughts on the unmanned cargo drone duo concept? Comment below!